Golmaal Again Tuesday (5th Day) Collection Update for Morning. Big Start Again. Golmaal Again has taken big start again at box office on Tuesday (5th day) Morning shows. This means film is again certain to be in double digit figure by the end of the day. Days progress will determine where it will stand in double digit. Golmaal Again has opened to around 30-35% occupancy in Morning shows across multiplexes. Single screens are not started or just about to start and reports are awaited. When samples of Tuesday are compared to Monday then there is a nominal drop of just around 5-10%. This is exceptional Hold considering Monday collected huge. Golmaal Again has already collected an approx 103 crore nett in first 4 days. Film is now chasing Highest Bollywood grosser of the year Judwaa 2 and should cross it inside first week. That will be amazing. However, Golmaal Again main fight now is to touch 175 crore nett in its lifetime business in India. That is bare minimun now after looking how film performed in first few days. If film trends well and better in coming days, even 200 crore nett can't be ruled out. This is simply terrific! Stay tuned for more updates. Golmaal Again is proving to be a true blue Diwali entertainer with every passing day at the box office. After reaping a fruity weekend, the movie has held tremendously well on its 4th day crossing the prestigious 100 crore mark. Golmaal Again opened to a hysterical response creating mayhem at the ticket windows and ending the long timed draught faced by the industry. Baahubali 2 was the last time to witness such craze. Since then it was a barren route for Bollywood as may major movies and stars failed to attract huge numbers. Rohit Shetty and team has managed to do what no other Bollywood star was able to this year. After the bumper opening of 30.14 crores, Golmaal Again went on to have a weekend of 87.60 crores. This was the highest weekend if we forget the storm created by Baahubali earlier this year. All eyes were on Golmaal Again‘s Monday collections as this is a deciding time for the verdict of the film. The movie has passed with flying colours as it hs collected an amazing 16.04 crores on its 4th day (Monday). 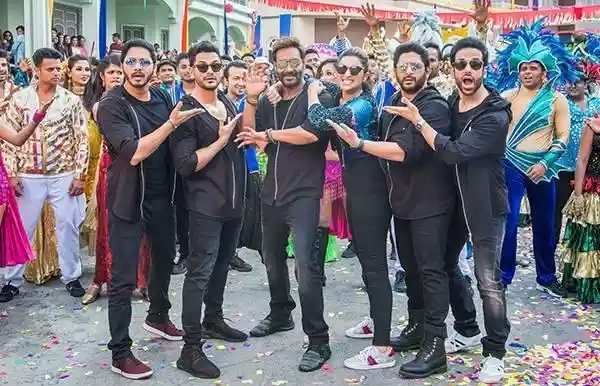 Golmaal Again in just 4 days has entered in the 100 crore club. The grand total of the film till Monday is 103.64 crores.